The whole gang at FFC is looking forward to the Wee Festival on Saturday that Katie posted about earlier this week. Music, petting zoo, food, fun – surely something for everyone. Kristin has written about the Fitton Center for Creative Arts in the past and this Friday you can check it out for yourselves. The Madcap Puppets will be performing Stravinsky’s Firebird Suite at 7pm. Visit their site for more information or to reserve tickets. As Shannan shared, the Butler County Challenger Baseball Fundraiser is happening on Saturday. Read all about the details here. The City of Wyoming rolls out the red carpet for their Fall Festival on Saturday 10am to 5pm. All the fun happens on Wyoming Avenue with food, entertainment, crafts, music, facepainting and more. My daughter P will perform at the Center for the Arts in Wyoming at 1pm if you happen to be in the area! LM&M Railroad will host the Pumpkin Patch Express weekends through October which include a stop over at Schappacher Farm (read all about this wonderful farm at 365 Cincinnati’s post from last year here). Visit their website for all the details and to buy tickets for Saturday and Sunday rides. St. Barbara’s in Independence will rock it out with Rocktoberfest all weekend. Good food, great music, no bug spray or sunscreen required (oh, I love FALL!). 2011 ZooGrass Festival is happening Saturday 11am – 5pm. 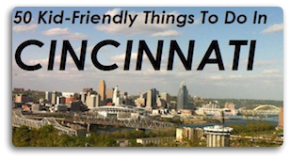 Enjoy some music and mammals and non alike at the best family place in Cincinnati. If you have the kids’ Halloween costumes ready (show off! ), you can head to Kings Island for Howl-O-Fest Saturday and Sunday.